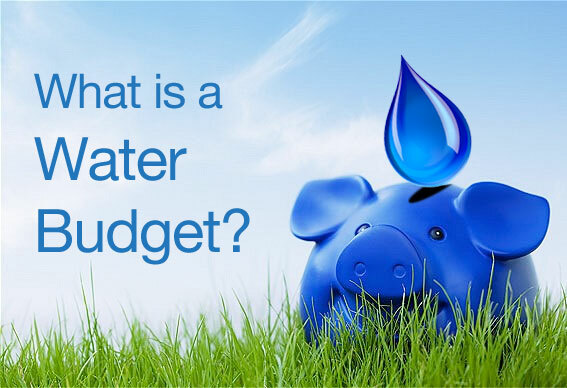 Details on specific components, methodologies and calculations, and technical references are presented in the appendices, with detailed technical graphs and maps. 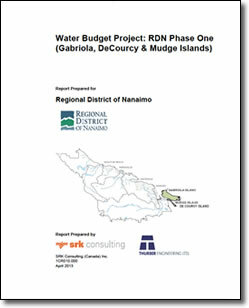 SRK Consulting (Canada) Inc. has prepared the RDN Water Budget Phase 1 – Gabriola, DeCourcy & Mudge Islands Report for the Regional District of Nanaimo. Any use or decisions by which a third party makes of this document are the responsibility of such third parties. In no circumstance does SRK accept any consequential liability arising from commercial decisions or actions resulting from the use of this report by a third party. The opinions expressed in this report have been based on the information available to SRK at the time of preparation. SRK has exercised all due care in reviewing information supplied by others for use on this project. Whilst SRK has compared key supplied data with expected values, the accuracy of the results and conclusions from the review are entirely reliant on the accuracy and completeness of the supplied data. SRK does not accept responsibility for any errors or omissions in the supplied information, except to the extent that SRK was hired to verify the data. This report is protected by copyright vested in SRK Consulting (Canada) Inc. It may not be reproduced or transmitted in any form or by any means whatsoever to any person without the written permission of the copyright holder.